Do I Need A Pole Tent Or Frame Tent? What ground surface is the tent being installed on? How much space surrounds the area you'd like your tent? It is a tight space but will work. How long do you intend to use the tent? Do you get strong wind gusts where the tent will be installed? You will want to go with a pole tent. 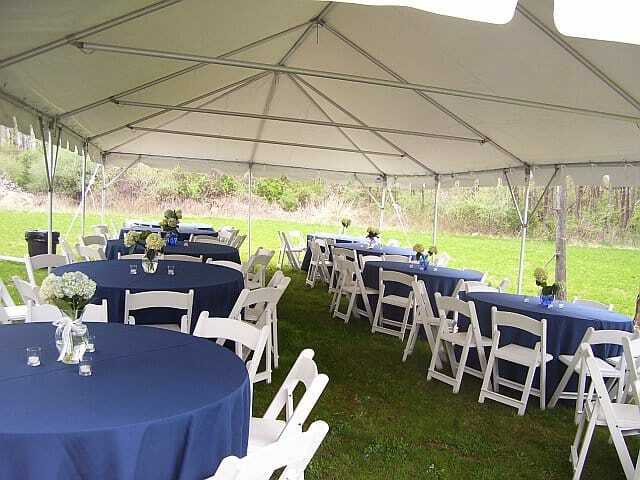 Pole tents are more cost effective and look great when they are installed correctly. You'll want to go with a frame tent. Frame tents are stronger and more secured. They provide a completely open floor plan and without a doubt are worth the extra money. ← What size tent do I need?